The Minerva is an award given people who have won an essay contest on this blog. 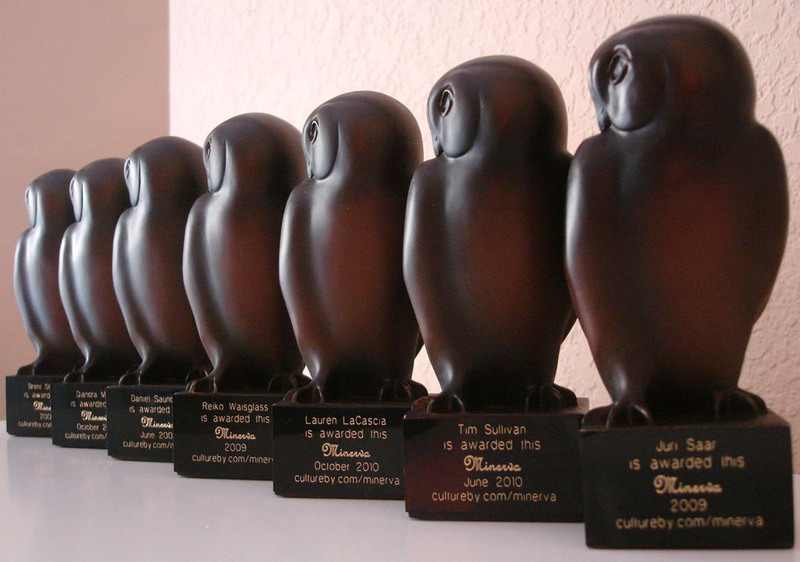 This photo shows the first “flock” of Minervas, ready to go into the mail. The Minervas were created to encourage people to ask cultural questions and craft cultural answers.